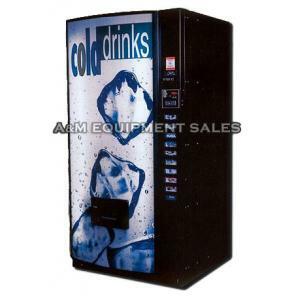 This machine can vend most everything. 28 selections 8 chip-pastry, 8 cracker candy and 12 can-bottle selections. Dimensions: Height 72″, Width 35″, Depth 35″. Optional: new credit card reader available, $299.00 installed. Includes remanned MEI changer and bill validator. Optional new changer and bill acceptor package installed $309.00 with 2 year warranty. Comes with Guaranteed Delivery System. Built in Energy saver built in. Electrical 120 volts, 10 amps. 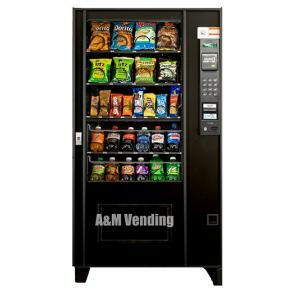 Remanufactured by: A & M Equipment Sales since 1964.